Police are appealing for help in identifying a man who could help them a racial abuse incident in Warwick. Officers would like to identify and speak with the man pictured as he could have important information about a hate incident that was reported on Friday, September 29. 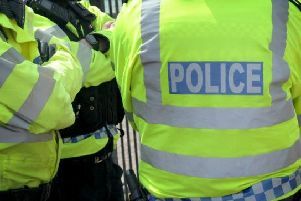 The incident happened sometime between 10.15pm and 10.30pm at St Johns Fish Bar in Warwick, when an unknown man is reported to have spat through the door and made racially abusive comments. If anyone has any information that could help police enquiries they should call 101, quoting incident number 497 of September 29.